Institut Curie (CURIE) is the host institution of Dr. Aura Carreira, Partner 3. Inactivating germline monoallelic mutations in BRCA2 are associated with breast and ovary cancer risks and with less incidence, to prostate and pancreatic cancer. BRCA2 tumor suppressor protein is involved in the homologous recombination DNA repair pathway. Although a defect in BRCA2 can lead to genomic instability, the precise link between BRCA2 mutation and tumorigenesis remains elusive. Aura Carreira’s group is investigating the functional analysis of new BRCA2 interacting partners specifically enriched under DNA damage, and of BRCA2 natural mutations identified in families at high risk of breast cancer to both reveal new roles of BRCA2 and improve genetic counselling. Her group is using functional genomics to uncover the drivers of cellular transformation in cancer in BRCA2 associated tumours but also in other types of cancer as part of the PanCanRisk consortium. Institut Curie, a private non-profit foundation recognised as a public-interest institution since 1921, is a major player in the fight against cancer, comprising France’s leading cancer research centre and a world-class hospital group in Paris, Orsay and Saint-Cloud. Founded in 1909 on a model conceived by Nobel laureate Marie Curie that is still at the cutting edge “of fundamental research and innovative treatment”, Institut Curie’s missions include treatment and research for the benefit of cancer patients, as well as training and education. The Hospital Group treats a wide range of cancers and is a referral centre for breast cancer, eye tumours, and paediatric cancers. Adopting an ongoing multidisciplinary approach, it draws on pre-eminently qualified staff and cutting-edge techniques to provide comprehensive continuous care for each patient at every stage of the disease, with the ever-present goal of improving quality of life. As the birthplace of radiotherapy and a pioneer in conservative treatment and pain management, it continues to innovate in complex techniques and treatment procedures (e.g. high-precision radiotherapy, including proton therapy, imaging, oncoplasty, oncogenetics, etc.) while developing clinical research and precision medicine. The mission of the Research Centre is to understand the complex workings of both normal and cancerous cells in their environment in an effort to find innovative and increasingly effective therapeutic approaches. The Centre comprises numerous multidisciplinary teams equipped with state-of-the-art technological platforms. To accelerate the transfer of scientific discoveries to the clinical setting, and thus offer patients the benefits of diagnostic and therapeutic innovations as rapidly as possible, so-called translational research relies on the expertise of joint teams of researchers and physicians. The scientists of these laboratories have access to modern core facilities in structural genomics, functional genomics, proteomics (mass spectroscopy), cellular and in vivo imaging, bioinformatics and an animal house with high standard to carry out experimental research on animals. The core facilities are placed under the responsibility of staff scientists and benefit from the support of several technicians and engineers making sure that the instruments are functioning and correspond to the state of the art of the technology. Institut Curie (both for basic and clinical research) produces per year more than 500 scientific papers published in international journals and is ranked at the top 1% by IST. Institut Curie is a founding member of PSL Research University Paris. WP5: P3 will be involved and leading WP5, i.e. functional study of identified genes and regulatory variants. In particular, they will carry out the experimental validation of the identified variants in the other working groups by introducing the mutations in human cell model system using CRISPR/Cas9 methodology, and revealing the consequences of each mutation on pathways commonly deregulated in cancer such as cell cycle checkpoints and the DNA damage response. They will also apply this knock-in approach to interrogate the effect of variants in regulatory regions by measuring the transcriptional activities in vitro genome-wide. Aura Carreira and her team are interested in DNA repair and its link to tumorigenesis. Using biochemistry, structural biology tools, molecular and cell biology they focus their research on BRCA2 (Breast Cancer Susceptibility Gene 2), a tumor suppressor protein involved in the repair of double strand breaks (DSBs) through homologous recombination (HR). They want to uncover new roles of BRCA2 by mapping interactions with other proteins to establish bridges between HR and other pathways. They are also using regions of BRCA2 protein as a tool to block the HR pathway for anticancer therapy. Another interest of the lab is to understand the impact of BRCA2 heterozygosity on Breast Cancer by investigating the phenotype of BRCA2 unique variants found in families at high risk of breast cancer and using functional genomics to understand the genetic events that lead to cancer predisposition in this context. Aura Carreira (female, PhD) received her doctorate degree in Molecular Biology from the University of Autonoma of Madrid, Spain where she investigated mutational analysis of virus as a model to understand protein-structure functional relationship. She then became very interested in cancer research and was awarded a postdoctoral fellowship from the Spanish Ministry of Science and Technology to join the laboratory of Prof. Stephen C. Kowalczykowski at the Dept. of Microbiology, and of Molecular and Cellular Biology at University of California, Davis (USA) where she worked on the functional aspects Homologous Recombination proteins such as BRCA2 and RAD51 using biochemistry and single molecule techniques. In 2010 she was recruited as group leader at Institut Curie (Paris, France) where she leads the Homologous Recombination and Cancer group. She combines functional genomics, biochemistry and cell biology techniques to understand the link between defects in HR and tumor formation. She got a scientist (CR1) permanent position from CNRS in 2011. 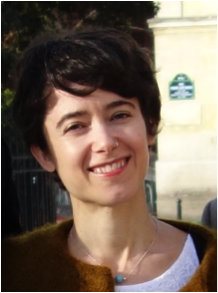 Aura Carreira has been consistently supported by fellowships and grants including the ATIP-AVENIR young investigator grant, FP7 Marie Curie Career Integration Grant, La Ligue contre le Cancer, Association for Cancer Research (ARC), INCa (Institut National Cancer Research) and FRM (Fondation pour la Recherche Medicale). Amandine Clavier, PhD. (From September 2015) Postdoc that will be in charge of generating the knock-in clones, adapting the evaluation of variants (HR, BLESS, Cell cycle) in 2 different cell lines, establishing the adequate tests for regulatory variants and, She will also analyse the NGS data with help from the Bioinformatics Facility of I. Curie and Ossowski’s group. Charlotte Martin (female, technical engineer), published > 5 Charlotte has been working in setting up the conditions for TALEN and CRISPR/Cas9 methodology in the laboratory to introduce mono-allelic mutations in BRCA2. She has done the allelic specific screen by qPCR and has set up the BLESS protocol in the laboratory using Lymphoblastoid Cell Lines. Her advances in this work will be the basis for the tasks assigned to the technician. Virginie Boucherit (female, technical engineer): recruited for the 2nd year of this project. This person will be in charge of assisting the postdoc on generating the stable clones carrying the variants, expanding them in cell culture, DNA, RNA and protein extractions, and help establish the techniques to analyse the variants. Carreira, , and Kowalczykowski, S. C. Two classes of BRC repeats in BRCA2 promote RAD51 nucleoprotein filament function by distinct mechanisms. Proc. Natl. Acad. Sci. USA. 2011,108(26):10448-53. Jensen, , et al. Purified human BRCA2 stimulates RAD51 mediated recombination . Nature.2010, 467(7316): 678-83. Carreira A, et The BRC repeats of BRCA2 modulate the DNA-binding selectivity of RAD51. Cell. 2009, 136(6):1032-43. Aura Carreira‘s team is interested in the evaluation of germline variants identified in families at high risk of breast and ovarian cancer. She is member of the ENIGMA consortium since 2011 (Evidence- based network for the interpretation of germline mutant alleles): An international initiative to evaluate risk and clinical significance associated with sequence variation in BRCA1 and BRCA2 genes (Spurdle et al., 2011 Human Mutat.) in collaboration with the department of Constitutional Genetics of I. Curie Hospital. Her team is currently exploring the impact of monoallelic deleterious mutations in cancer predisposition using CRISPR/Cas methodology and human cell lines as model system. Other research projects include exploiting BRCA2 -derived peptides as therapeutic tools to inhibit the Homologous Recombination pathway and sensitize tumors to DNA damaging drugs funded by ATIP- AVENIR CNRS-INSERM-ITMO Cancer (Young Investigator Grant). She is also studying new roles of BRCA2 by revealing interacting partners under DNA damaging conditions funded by FP7 CIG Marie Curie (Career Integration Grant) and Fondation Research Medicale.